We interrupt our regular posts here at Things Worse Than Nuclear Power to host, for the first time, the carnival of nuclear bloggers. Below is Carnival #134-- the latest from the most respected bloggers on all things nuclear related. "Japan’s Press fails to make nuclear energy the top election issue"
After Prime Minister Noda “dissolved” the Diet’s lower house to make way for the national election on December 16, the Press has done its best to make it seem that Japan’s nuclear energy policy issue is the one of greatest importance. However, two comprehensive polls show that the Press seems to have failed in their mission to put the nuclear issue at the head of the political pack. Nuclear energy is not the most important issue in in the public mind, ranking behind the state of the economy, potential tax increases, and the military tensions between Japan and China. "The Vermont Renewable Scene: It's Awkward"
Meredith Angwin discusses Vermont's ambitious "90% renewables" energy plan with a reporter. Is she misquoted and shown as being overly negative? Or is her quote reasonable? Opinions vary. Howard Shaffer debates Vermont Yankee operation with a plant opponent. The opponents has recently filed suit against VY in Vermont Supreme Court. Radio debate on NHPR, can be downloaded as a podcast. Did you know "Curiosity" has a nuclear heartbeat? "2012 ~ The year that was in nuclear energy"
Dan Yurman provides an outstanding recap of "The Year That Was" in nuclear energy in 2012 -- and some hints on what lies ahead. "CNN promotes natural gas as “safer” than nuclear –smoking gun"
An article titled Fukushima inspires safety features for Georgia nuclear reactors is a recent addition to CNN’s Powering the Planet series. It is packed full of misinformation about nuclear energy along with subtle and not so subtle promotion of natural gas, one of nuclear energy’s strongest competitors. "Argentina's Atucha Unit 2 Sees Progress"
Will Davis provides a massaged translation of an official Nucleoelectrica Argentina S.A. press release which briefly details the history of Atucha Unit 2, originally a Siemens PHWR project but which is being completed more or less independently after Siemens has dropped out of the business. The Atucha unit is expected to be on line next year. "Yucca Mountain is Dead. Long Live Yucca Mountain!" 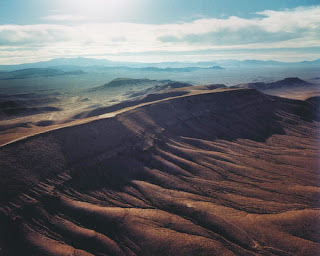 With Obama's re-election, it would now appear that the fate of Yucca Mountain has been sealed. Where do we go now from here towards a viable strategy for used nuclear fuel management? Steve Skutnik looks ahead for where we go next. Congratulations on your first hosting of the Carnival; I hope there are many more to come here! Only comments that intelligently add to the discussion will be allowed. Copyright 2014 Things Worse Than Nuclear Power. All Rights Reserved.